The Graduated Full Persian Earrings look somewhat like Christmas trees as they hang. They are very flattering to your face. There are four different sizes of rings plus connector rings for the earring finding. They are an intermediate weave. 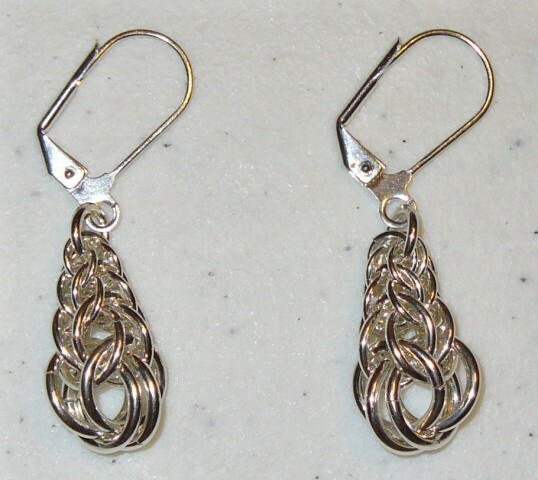 Sterling silver plated or gold filled plated leverback earring findings are included in the kit.